I t's February and your region's calendar of activities is starting to heat up. In this issue, read about a new tech session on March 8, the driving tour dates for the year and get a sneak preview of some of the events that the Social Committee is ready to unveil. But first, let's welcome new members. Christos Karampelas, with his brother Antonios. 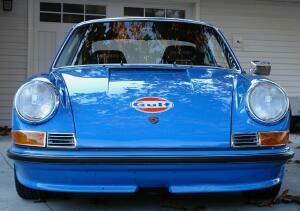 Chris drives a 1971 911T. Robert Radder and his wife Lorelle. The Radder's own a 2003 911 C2. Ryan Schuelke, who drives a 1983 911 SC. We also welcome Andy Stever who has transferred from the Gold Coast Region along with his wife Cynthia. The Stever's brought along their 1982 911SC. We look forward to meeting all of these members at an upcoming region event. Feb. 28. Carrera Chili. The first social gathering of the year. Food, fun and conversation in the relaxed setting of Geoff and Stacey Wilde's home in Racine. Join us for this low-cost, high-value opportunity to meet other members. Bring a chili to enter or just bring an appetite. The menu includes chili, salad, dessert and beverages. RSVP by Feb. 21. Details here. March 8, Tech session on drivers education. For novice drivers or those who are curious about DE and haven't decided whether it's for them. This session combines chalk-board training on what track driving is all about, as well as information on what's needed mechanically for your car to perform safely on the track. RSVP by Feb. 22. Details here. March 28. For a social encounter with other region members, tour the new Harley Davidson museum and enjoy lunch in the museum's restaurant. If you haven't toured one of Milwaukee's newest attractions, this is your chance. Save the date. More details will be posted on this site and e-mailed to all members. Did you provide your feedback about social activities you might like to participate in this year? Thank you if you did. Approximately 15 percent of our members completed the survey which was intended to define what kinds of social activities members would be interested in for this year and coming years. If you haven't completed the survey, look for the e-mail that we sent to you in early January. If you like social events, we need to hear from you. Our planning will be based on member input. 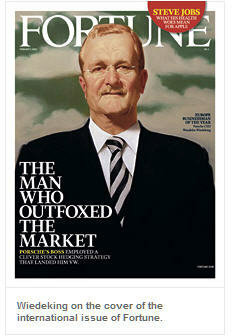 Porsche chairman Wiedeking named Europe's businessman of the year by Fortune magazine. Read about his selection here. More information will be coming as we get closer to spring. Keep the dates circled. If you've done these tours before, you know how enjoyable they are. You'll explore some obscure roads that are off the beaten trail. Your new-for-2009 Social Committee is exploring a variety of activities to keep members in touch on a level that differs from autocross, driver education and concours d'elegance. One example is the March 28 "let's meet at the Harley museum for lunch and a tour" event. Another is a short morning drive in southern Milwaukee and northern Racine counties on June 13, with an ending point at a member's home in Caledonia where we'll park our cars in his yard and enjoy lunch. The committee is also discussing an overnight trip to Door County, a driving tour to Road America to spectate at our region's driver's education event, and more. The committee's goal is to have something on the calendar each month. We hope that this will broaden the region's appeal and that each member will find one or two events that they'll want to participate in. More will be communicated via e-mail and on this site. More details will be coming from DE Co-chairs Mike Clemens and Kurt Krueger. Classifieds -- Members can advertise for free on our popular classifieds section. Check it out. Why is this Web site named Porsche Park? Glad you asked. Here's the background. Glory days of Elkhart Lake. Read about the early days of road racing when the course ran through the streets of Elkhart Lake.